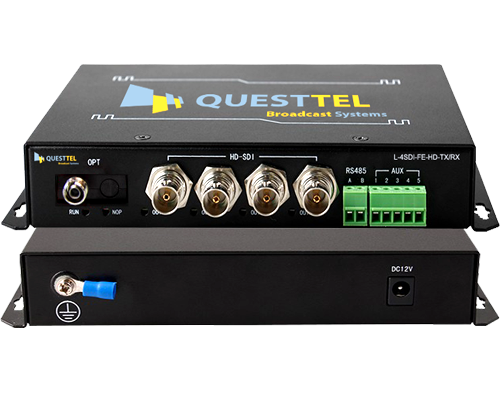 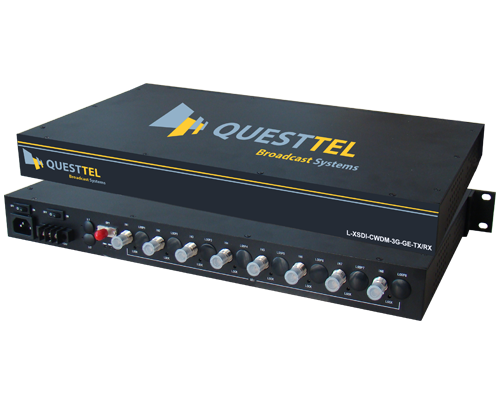 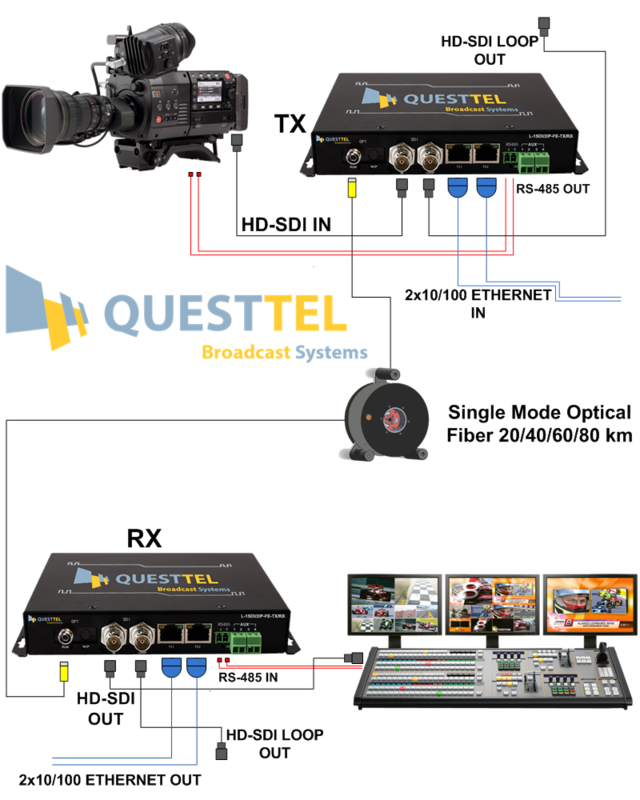 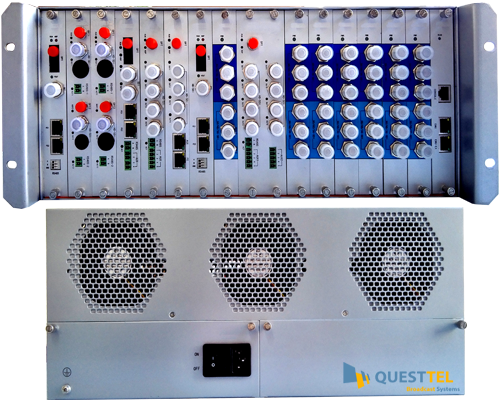 QuestTel's L-1SDI/2IP-FE-TX/RX HD-SDI & Ethernet compact fiber extender provides transmission of one HD-SDI channel with AUX audio and two Ethernet IP channels over singlemode and multimode optical cables. 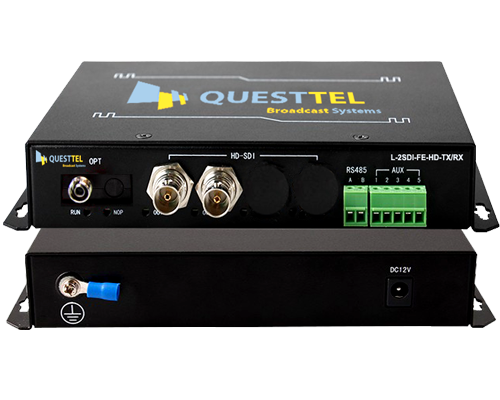 This SDI and IP to optical fiber converter enables high optical performance and brilliant HD video processing in real time. 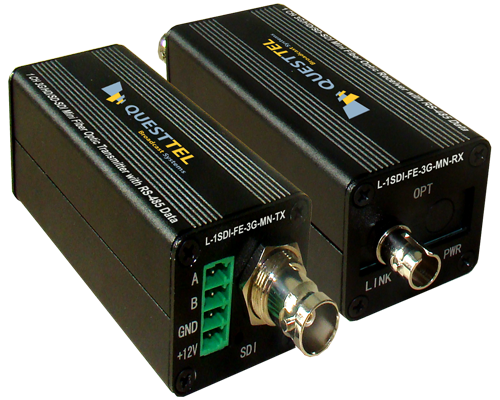 Since optical signals are not affected by electromagnetic noise, L-1SDI/2IP-FE-TX/RX makes your system more reliable and secure. 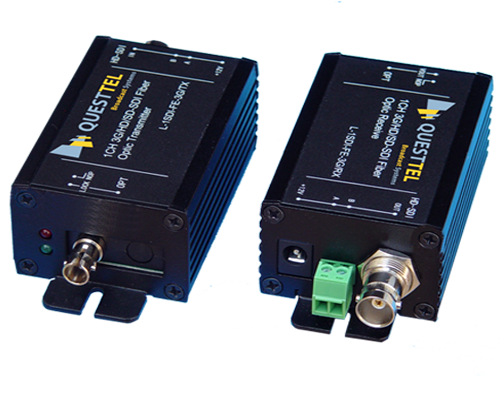 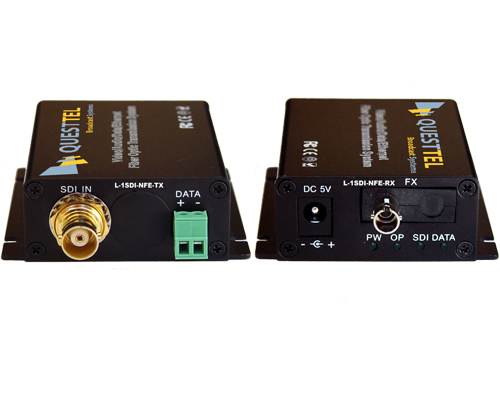 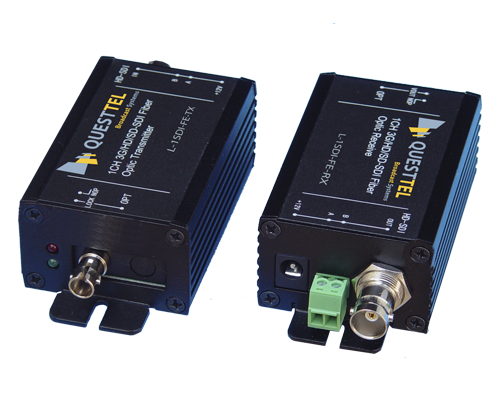 These kits also provide transmission of two bi-directional Ethernet channels, which share 100M bandwidth. 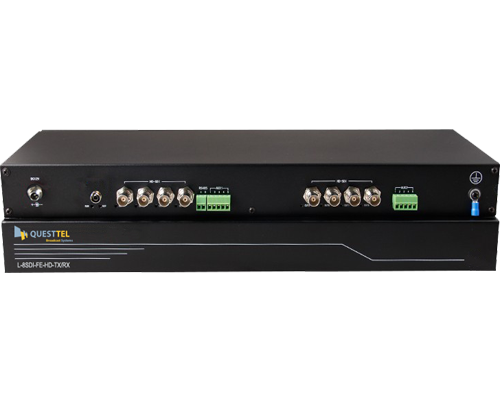 The unit has RS485 (optional RS422/RS232) reversed data channel for advanced camera control, making itself the best compact factor solution for any HD surveillance system or live broadcasting application. 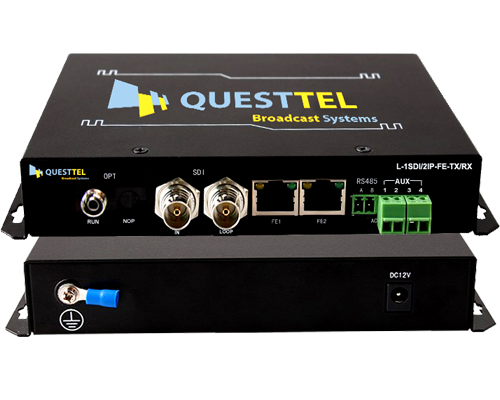 IP interfaces can dramatically increase scalability and compatibility with all modern high-end networking systems. 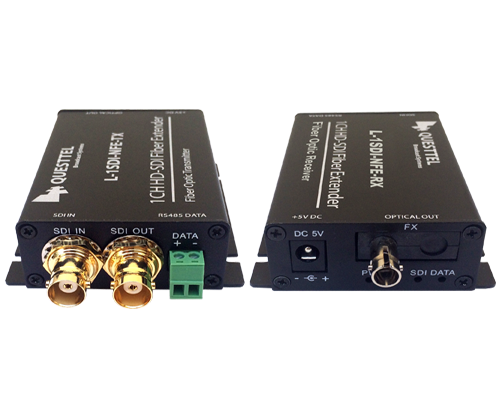 All things considered, L-1SDI/2IP-FE-TX/RX pushes the limits of conventional coax cctv or broadcast system to a completely new level and allows you to extend transmission distances up to 20km(optional 40/60/80km).